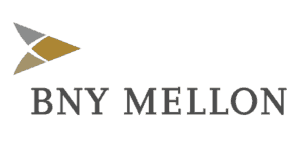 The Alumni Society welcomes BNY Mellon as its newest corporate partner, joining the likes of other Fortune 1000 companies. BNY Mellon is a global investments company that provides investment management, investment services, and wealth management that help institutions succeed all over the world with a dedicated business presence in thirty-five countries and more than one hundred markets. The company, founded in 1784, is the longest-running bank in the United States. BNY Mellon recognizes and understands the pivotal need to have more Latino voices in senior positions and the value of their experiences, perspectives, and capabilities in driving better business outcomes. A deeper understanding of diversity and other cultures fosters a more inclusive workplace, and The Alumni Society is proud of the financial company’s commitment to elevating Latino voices. The Alumni Society has helped some of the most successful, industry-leading companies foster intimate connections with its members through exclusive events, organizational branding services, and in-person and digital recruiting efforts. For media inquiries, please contact Frannie Sprouls at 312-564-2171 or email at frannie@thealumnisociety.com. The Alumni Society is a network of mid- to senior-level Latino leaders who graduated from the country’s top universities. This network offers exclusive opportunities for growth and empowerment, with the goal of advancing Latino leadership in America. BNY Mellon is a global investments company dedicated to helping its clients manage and service their financial assets throughout the investment lifecycle. Whether providing financial services for institutions, corporations or individual investors, BNY Mellon delivers informed investment management and investment services in thirty-five countries. As of September 30, 2018, BNY Mellon had $34.5 trillion in assets under custody and/or administration, and $1.8 trillion in assets under management. The investments company can act as a single point of contact for clients looking to create, trade, hold, manage, service, distribute or restructure investments. BNY Mellon is the corporate brand of The Bank of New York Mellon Corporation (NYSE: BK). Additional information is available on bnymellon.com. Follow @BNYMellon on Twitter or visit bnymellon.com/newsroom for the latest company news.